Despite threats to President Maduro’s life, including the August 4 assassination attempt during which seven people were injured when “drone-like” devices exploded suspiciously close to President Maduro, and which Maduro attributed to a homicidal intent by political enemies such as Columbian President Juan Manuel Santos, President Maduro himself arrived at the United Nations General Assembly, and spoke there on September 26. 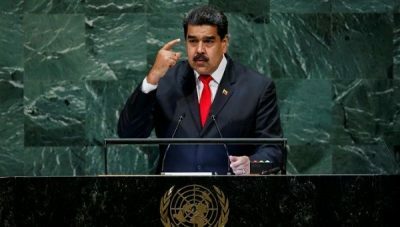 He denounced increased US sanctions imposed on Venezuela, and denounced the August 4 assassination attempt against his own life, calling for an impartial investigation to identify the perpetrators. He also stated his willingness to meet with President Trump, whom, he mentioned had also signaled willingness to meet with him.